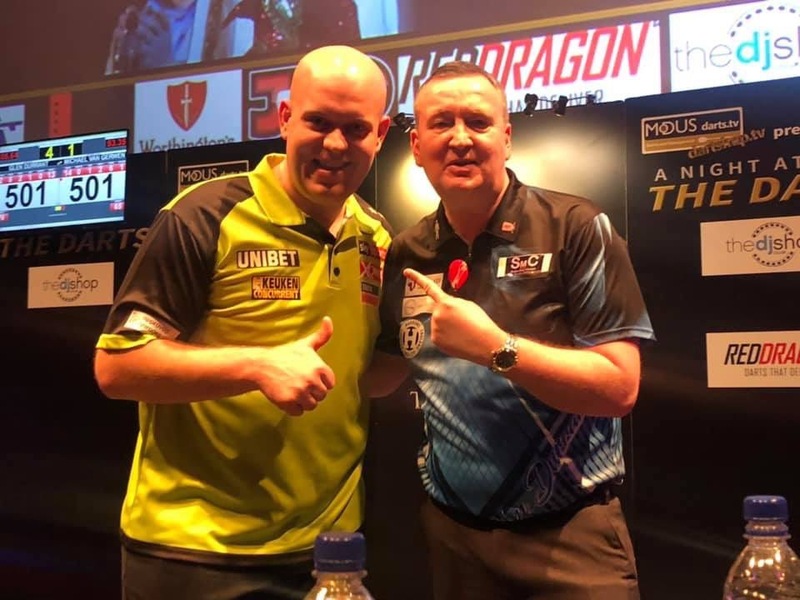 Glen Durrant continued his remarkable form into a local exhibition held at the Cheltenham Race Course, as he denied both Michael van Gerwen and Gary Anderson en route to the title. Players Championship 10 winner, Jonny Clayton, Vincent van der Voort, van Gerwen, Anderson and ladies stars, Anastasia Dobromyslova and Corrine Hammond, were amongst those involved in Cheltenham, but it was Durrant who reigned victorious. Durrant averaged below the 90 mark in his opening two games; a 4-1 win over Corrine Hammond and a 4-0 whitewashing of Gary Anderson, who averaged just 87.1, put the three-time Lakeside World Championship winner into the final. The Middlesbrough man breezed to the title as he averaged 106.6 in a 4-1 thrashing of world number one, van Gerwen.